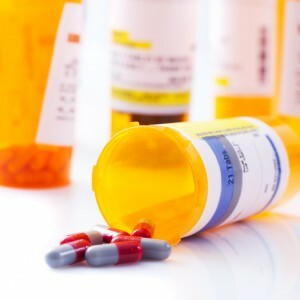 The side effects of dangerous prescription drugs are a harsh reality of today's medical world. Get up-to-the-minute news on the FDA, prescription drugs and safe, natural options to get and stay healthy on the NorthStar blog on prescription drugs and FDA issues. When you’re frequently in pain – from arthritis, a bad back, an old injury, or any other reason – you probably have a cabinet full of medications. So many, in fact, that sometimes you think it would be nice to be able to relieve pain without medications. Without having to swallow yet another pill, or keep a close schedule – or risk ending up in pain again. But you've probably been convinced, time and time again, that this is impossible. That you have to relieve your pain with prescribed drugs. There are ways to relieve pain without medication. And in this article, we’re going to explore several of them. The first technique is through relaxation. Tension in your muscles can make any pain worse. Staying relaxed not only prevents making pain worse, but can actually relieve pain, as well. There are a few relaxation techniques that can help relieve pain. At first it may seem counterproductive to tense your muscles when you’re trying to relax, but it really is easier to get your muscles to relax completely if you deliberately tense them first. Sit or lie down in a comfortable position. Make sure your body is supported so you can relax completely. Try to find somewhere that isn’t too noisy, or distracting. Once you’re comfortable, take a deep breath in. As you do so, tense up a muscle group, like your feet. Hold your breath, and keep the muscles in your feet tense for a second or two. Exhale, and release the tension in your feet. Take another breath, and tense up the next group of muscles. Move up, or down your body one muscle group a time. If you’ve just tensed your feet, tense up your calves now. Hold for a second or two, and release your breath and your muscles. Repeat this until you’ve tensed and released every muscle group in your body. Many people find this to be most effective starting at the feet and moving up, or the head and moving down. As with before, start in a comfortable position and close your eyes. Once you’re settled, take a slow breath in, then release a slow breath out. As you release your breath, let your body go limp. Some people find it helpful to count to themselves “in, one, two, three…out, one, two, three…” in order to find and keep a steady rhythm. Make sure not to breathe in too quickly – you don’t want to hyperventilate. And don’t breathe in too slowly – you don’t want to get out of breath. Instead, find the rhythm that works best for you. If you feel a body part resisting relaxation, focus on relaxing it on your exhale until it finally goes limp. Then go back to focusing on your whole body. Continue rhythmic breathing for up to 10 minutes. When it’s time to stop, count to 3, open your eyes, and resume breathing normally. The next technique is through massage. When it comes to relieving pain without medication – especially muscular or joint pain – massage can be a powerful tool. Depending on where you hurt, you can do this yourself, you can have a friend or caregiver massage you, or you can see a massage therapist. Using your bare hands, rub the site of the pain in a steady, circular motion. Try a little lotion, talcum powder, or massage oil to keep from pulling too hard on your skin. Only use as much pressure as feels good. If a deep tissue massage is a relief, then use more pressure. If that’s too much pressure, use less. It’s about what feels good to you. Also, massage can help you relax – and we've talked about how relaxation can help relieve pain! Next up is distraction. You may already be using this technique to relieve pain without medications and not even know it. If you've ever turned on music, or a television show, to help you deal with pain – that’s distraction. The key to distraction is to engage your mind on something unrelated to the pain. Movies, a crossword book, a logic puzzle. Anything that will have you thinking about and focused on something other than your pain. Try listening to music and tapping out the rhythm, or even turning up the volume (within reason, of course), as an extra distraction. Most people find distraction works best on sudden, short-term pain – pain that lasts 5-45 minutes. But don’t disregard it for longer term pain, either. As long as you’re comfortable, it’s working! Of course, I’m talking about acupuncture. While you can’t do acupuncture yourself, it can be a worthwhile trip to help relieve pain without medications. Acupuncture is an ancient Chinese ritual where sterilized needles are inserted into your skin at very specific points. These points are believed to control pain sensation. It sounds scary, I know. But it’s completely painless – and can do wonders for relieving your pain. A skilled acupuncturist will know where, and how deeply, to place each needle to relieve your particular pain. Remember when your mother or grandmother would bring you an ice pack or a heated towel? That was temperature therapy, and it’s been relieving pain without medication for generations. And it’s easy to know when to use which temperature. For stiff joints, tight muscles, sprains – and other short-term injuries – heat works better. But for anything swollen, red, inflamed, or sharp, sudden pains, ice works to numb your pain and reduce swelling. Often times, you can use a combination of ice and heat to numb the pain, reduce swelling, then ease it away. This works best when using ice or a cooling pack for about 30 minutes, followed by 30 minutes of heat. Heat – use a heating pad, warming mitt, or microwave a damp towel for muscle pain. Heat helps relax the muscles, easing the tension, and relieving the pain. Be careful not to burn the skin, and only leave heat on for 20 minutes at a time. Ice – this can be as simple as ice cubes in a baggie, or a bag of frozen vegetables. Be sure to wrap your ice pack in a towel or use it over your clothing so you don’t get your skin too cold. Use ice when the pain is sharp, or caused by inflammation. The ice will help soothe the inflammation, which will help ease the pain. As with heat, take the ice off after 20 minutes. When you need more relief than any of these can offer, reach for a natural topical pain reliever. Like Soothanol X2 or Arthritis Relief Cream. Both go to work within less than a minute, and provide relief lasting for hours. Both allow you to get the relief you need without taking another pill. Both use approved pain relieving active ingredients to knock out even your toughest pain. And both work to distract your mind from the pain, while providing a nearly instant soothing sensation. Soothanol X2 combines the warming relief of capsaicin and the cooling power of menthol into one topical pain reliever that works on two levels. Arthritis Relief Cream harnesses menthol, leaving out the capsaicin for people who find that warmth to be too intense. And both are backed by our Gold Standard Guarantee. If your pain isn't gone within 30 minutes after using Soothanol X2 or Arthritis Relief Cream, , we’ll return every penny you pay today. Simply return your most recent order and we’ll issue a prompt and full refund. If you order today, we’ll even take 20% off every bottle you purchase. Every bottle of Soothanol X2 and every bottle of Arthritis Relief Cream. Try one, try the other, try them both. It doesn't matter. Enter promo code W650R2AF at check out and we’ll take 20% off every single bottle, automatically. So now you know how to relieve pain without medications. Try the methods above, and try topical pain relievers like Soothanol X2 and Arthritis Relief Cream. 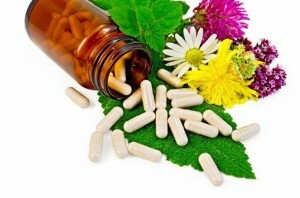 Natural Supplements vs. Pharmaceutical Drugs: Which is Better? Which is why the choice between natural supplements and pharmaceutical drugs is such a significant one. The debate between the natural supplements camp and the pharmaceuticals camp is contentious and murky, which doesn't make the decision any easier. Too often it seems both sides are trying to “win” rather than give you the information you need to make your own, educated decision. I haven’t written to you much about childhood vaccines. There’s a reason for that. I feel they are a very personal choice. And as I’ve shared with you before, although I have my issues with the dozens of heavy-metal-laced vaccines we’re unloading on our children’s delicate and still-developing immune systems, I do understand that parents have some incredibly tough choices to make. The FDA has approved yet another sleep drug. And this one could turn out to be the worst of the whole rotten lot. I’ve told you about the potential endocrine disruptor triclosan before. In fact, I’ve even warned you that this chemical is found in some toothpaste. But now a new report just released by Bloomberg News has put this highly controversial chemical front and center once again. I first warned you about carbapenem-resistant Enterobacteriaceae (CRE) well over a year ago. On the superbug block, these nasty bugs are the worst of the worst… a true devil among demons. Like other superbug bullies, CRE is resistant to antibiotics. But CRE isn’t only resistant to the run-of-the-mill antibiotics, this ugly bug laughs in the face of the “last-resort” drug carbapenem. It’s a lesson we all should have learned at our mother’s knee, I know I did. Sure Sally hit you, but you pulled her hair first, didn’t you? Half-truths are NOT the same things as full truths. Yet half-truths are common practice for Big Pharma, Big Food, biotech giants, and, let’s face it, just researchers in general. And last time I checked, these guys gave up their Scooby-Doo Underoos for big boy pants long ago. It’s nothing short of a horrifying disgrace. A new report has found that at least ten thousand toddlers—2 and 3-year-old babies—are being drugged with daily doses of powerful, addictive and dangerous stimulants. Drugs that fall into the same class as morphine, amphetamines and cocaine! Big Pharma’s pals at the CDC released the results of a study last year showing that the HPV virus rates are plunging, essentially proving that unvaccinated girls are actually SAFER than vaccinated ones. Although you certainly couldn’t tell that from the giddy press release the CDC sent out to every news outlet and reporter from coast to coast. The Gardasil HPV vaccine has allegedly killed several, may have maimed many more, and it doesn’t even WORK! But you’ve got to hand it to Big Pharma, they’ve never been one to let the facts get in the way of sales. So even after 31,000 young women (or their survivors) have reported Gardasil HPV vaccine reactions to the FDA, the drug pushers behind the so-called “HPV vaccine”have shifted their attention and their tactics.